Once in Grace, Always in Grace, Even If You Live in Dis-Grace? "Grace is an important aspect of Christian walk. Grace means that which is freely given by God, and it is received by faith without being earned or deserved. In this book, this truth is clearly explained along with how Paul the apostle warns us not to abuse the grace that is given to us by God. Isaiah 11:2 describes the Spirit of God as the Spirit of the fear of God. The Holy Spirit is also called the Spirit of Grace in Hebrew 10:29. Where the Spirit of God is present, remember the fear of God is also present. I believe this book can be used as a study guide and also to learn about God's grace. It is a book that will inspire you to walk in the knowledge and grace of our Lord, Jesus Christ." 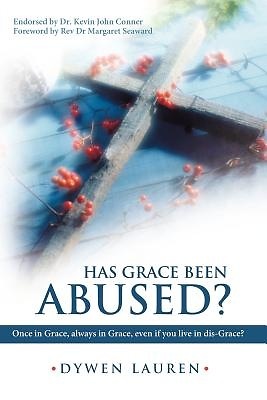 The author of Has Grace Been Abused? has written this book to combat this insidious or dangerous teaching and interpretation of the Grace of God. Each and every chapter is filled with Scripture verses refuting this teaching and lifestyle, which is totally against the clear Word of God. Has Grace Been Abused? is a good book and points the way to a life of holiness in a time when the wonderful 'Grace Message' - as in Paul's time - is being mis-represented by some who are "grace-abusers."